Pulse 3 wurde bewertet mit 4.3 von 5 von 348. Rated 5 von 5 von Dianakr aus Amazing! I'm loving this speaker. The colors, the light show, the sound and ambiance it sets is absolutely stunning. Great for parties, get togethers and just a chilling out with your favorite tunes. Beautiful color ways & hey it's waterproof, you really can't go wrong here. Also Great quality and sound. I love it! So much fun. Great speaker! Thank you JBL! Creativity definitely Rocks! I just really hope you come out with a JBL carry on case very very soon so I can bring this along on all my adventures. Please make a JBL pulse case that fits this product since JBL pulse 2 case does not fit it. Other then that everything is fantastic! Rated 5 von 5 von Jonny123 aus Perfection. I just bought this and what can I say. It's a masterpiece. It's really light for the size of the speaker which is great for carrying around. The lights on this are beautiful and bright. I love how many customisations you can make to the colour. Most importantly the sound. This speaker is so clear that it sounds almost better than my Power beats 3. The bass is amazing. I love bass and I was deciding between this and the bose soundlink mini 2 but after listening to this for 30 seconds, I set on this because its so mesmerising and sounds awesome. Would recommend to everyone! 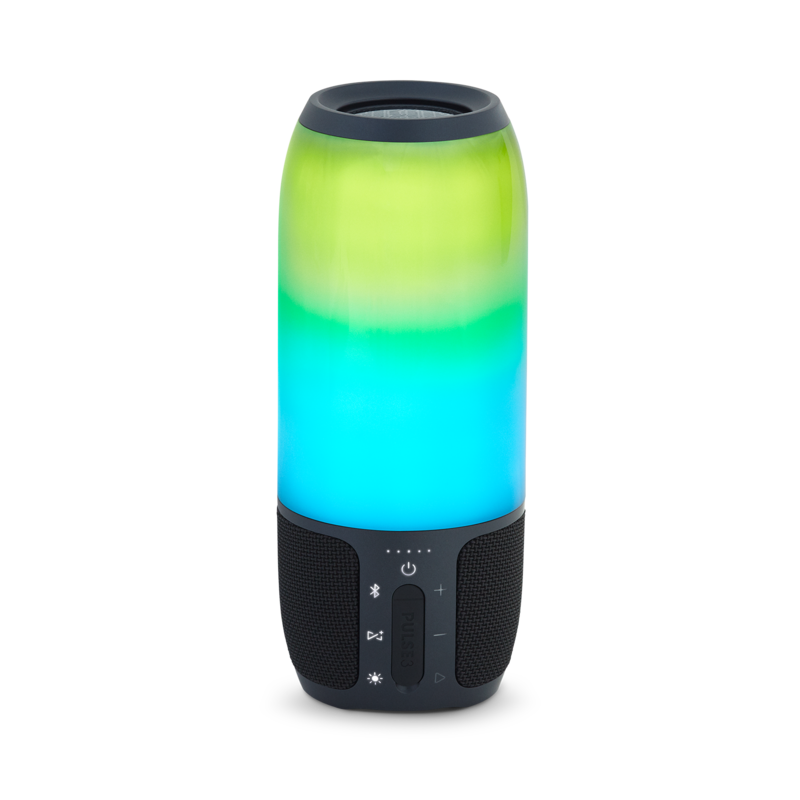 Rated 5 von 5 von Eclipse aus Speechless I bought this speaker since December 15 2017. I'm speechless. It has already fallen 5 times on hard surface and no scratches. I'm being honest right now. No scratches. Sound Quality is perfect. Loud enough for outside parties. Light show is insane. Beautiful colors. Really beautiful. Battery life is great. I use the speaker for about 8 hours a day at 75% volume. The next day for about another 8 hours and still had 4 battery indicators. Really impressive. I love JBL. You are always my favorite brand. 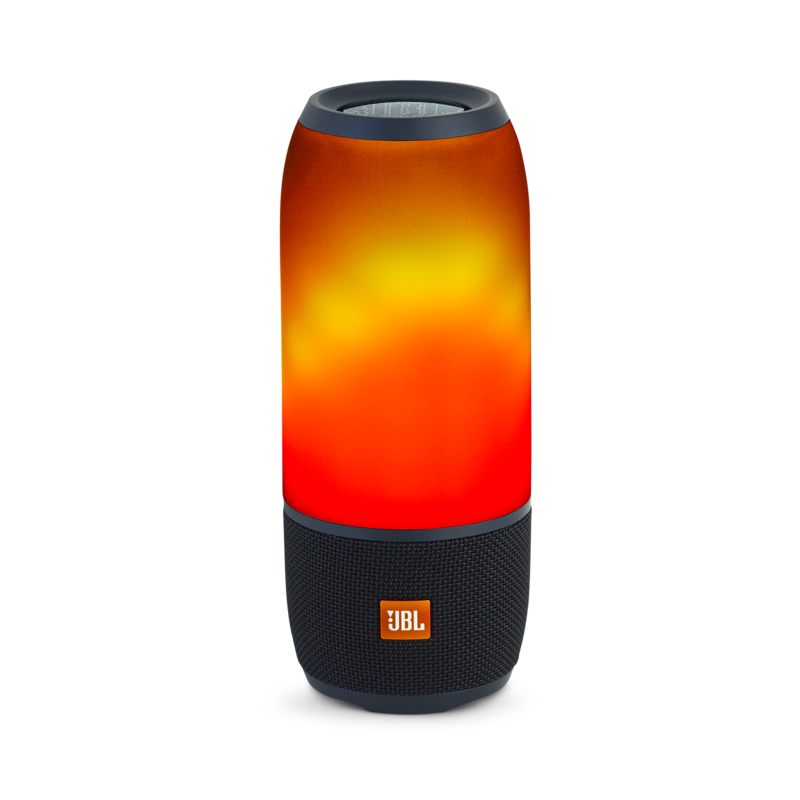 Rated 5 von 5 von Ryan 3888 aus My favourite JBL speaker right now! I started with Charge 3 then follow by 2 Flip 4. Charge 3 is a little bass boosted and lost some clarity of the music. Some music sounded muffled. Tried 2 Flip 4 for stereo mode. Flip 4 sounded better than Charge 3 in my opinion but when I connect them via Connect plus, the speaker crackle and this really annoys me. Saw Pulse3 on display in the shop and I bought it right away for the look and to my surprise, it sounded as good as it look too! More balance and natural. Bass is there but not heavily boosted. I love the 360 degree sound and clarity. Really happy with this purchase and might buy another one to pair it up as stereo mode. Worried about the surface might be prone to scratches but it is quite durable. More to fingerprint magnet. Wipe it up and it looks good again! What is the difference between Flip and Pulse? The main difference between the Flip and Pulse is the Pulse's light show features. Can you turn off the auto power off function? If not can the option be provided via the app? Unfortunately, you can't turn off the auto power off feature as it's required in all of our portable speakers. What is the to part made of? Glass? Hejsa! 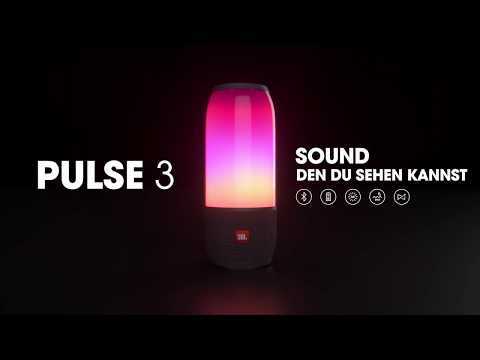 Vad menar ni med Pulse 3 (Refurbished) ? ... &Auml;r den begagnad? Hej. Hvis du tjekker den svenske JBL netbutik og ser under Outlet, finder du denne tekst, som forklarer hvad disse produkter er: &quot;Renoverade produkter &Auml;lskar du att fynda? D&aring; har du kommit r&auml;tt. H&auml;r kan du k&ouml;pa v&aring;ra renoverade produkter. De &auml;r returer som vi har kvalitetskontrollerat och godk&auml;nt. Vi &auml;r s&aring; s&auml;kra p&aring; att de &auml;r helt perfekta att vi l&auml;mnar samma 2-&aring;riga garanti som vanligt. Trevlig shopping!&quot; Jeg h&aring;ber, dette hj&aelig;lper. 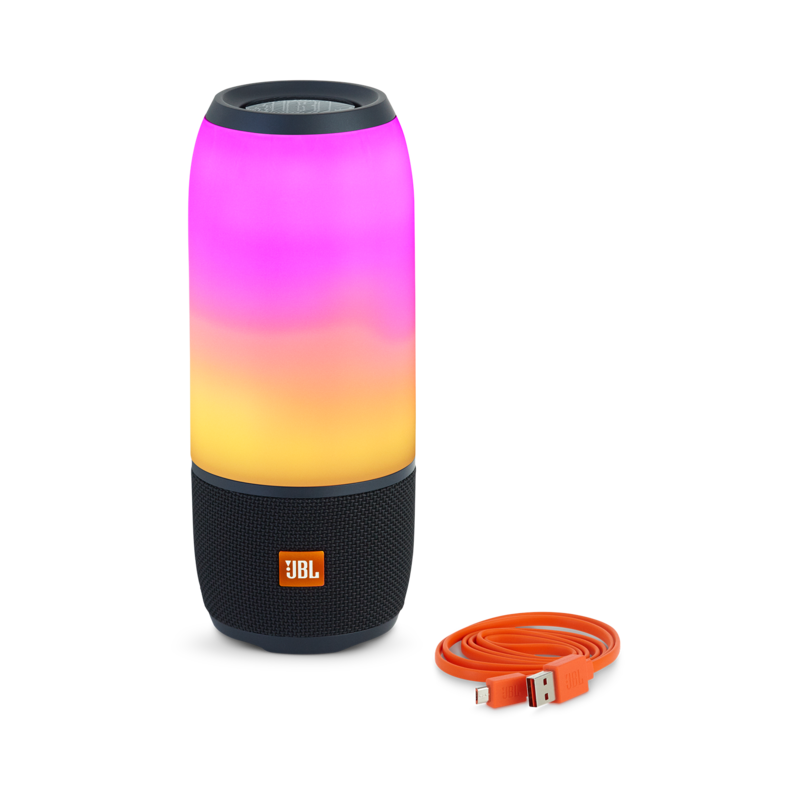 Can the JBL Pulse 3 be connected to a TV with RCA audio outputs? I connected the Pulse to the TV with a 3.5 mm Male to 2-Male RCA cable. I set the TV to external speaker but I get no sound when the pulse is powered on. What can I do??? We would like to work with you&nbsp;directly&nbsp;to help you with your issue. Please submit a case request at&nbsp;&nbsp;https://www.harmanaudio.com/support-contact.html and the Customer Service Team will be more than happy to assist you. 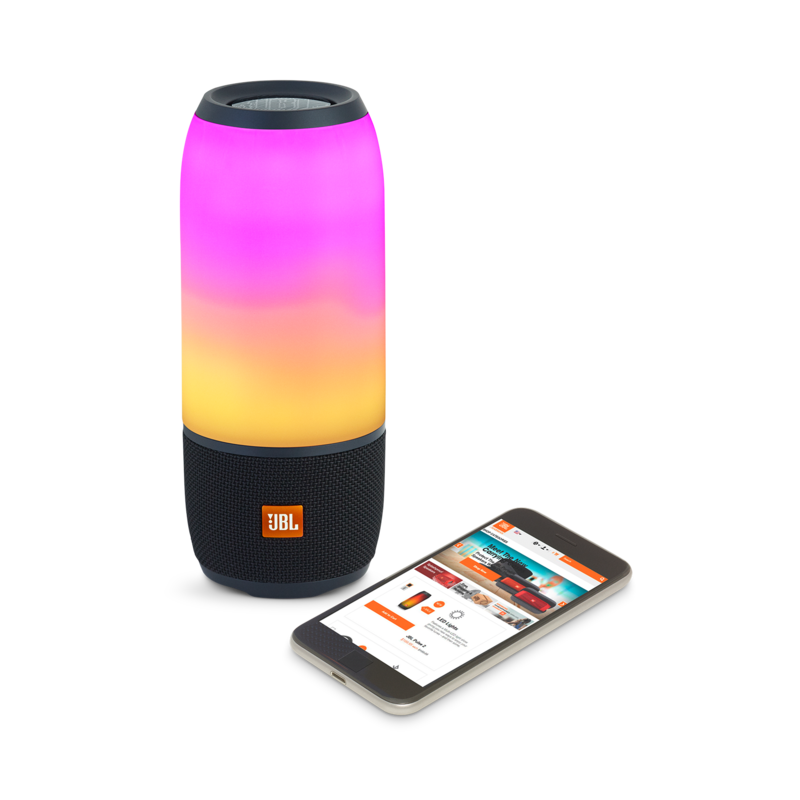 Does the pulse 3 light up without the jbl app or do i have to have the app? It would still have Lights even without the JBL App. 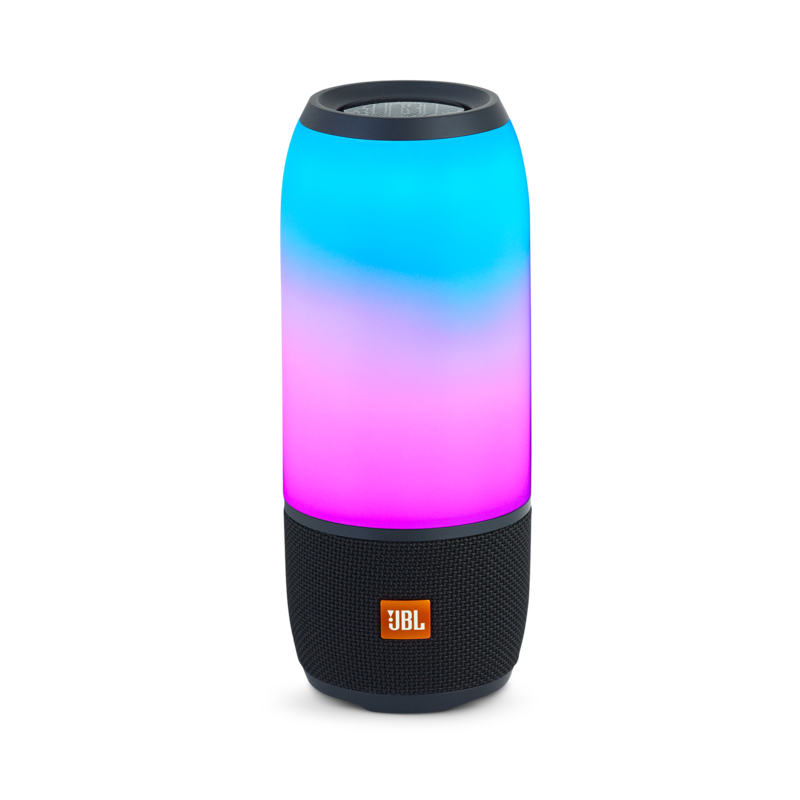 La JBL pulse 3 &agrave; t'elle autant de puissance de son que la JBL pulse 2 ? Merci pour votre question. La Pulse 3 poss&egrave;de une puissance de 20 watts alors que la Pulse 2 a une puissane de 2x8 Watts ( 16 Watts en tout). Si vous souhaitez recevoir une assistance personnalis&eacute;e, nous vous invitons &agrave; contacter le Service Client&egrave;le Harman par t&eacute;l&eacute;phone, par mail ou par chat. Vous trouverez toutes les informations de contact sur https://www.harmanaudio.fr/support-contact.html#ns Merci.